There’s a certain romance about train travel. From every Brief Encounter-style station farewell to the evocative views that rush by your window – travel by train in Europe is wonderful. And it’s easy. So easy in fact rail ticketing agency, Voyages-sncf, is going to great pains to show us just how difficult it could be – more about that and a prize giveaway later. But for now let’s explore why travel by train in Europe is giving flying a run for its money, and our top tips for making the most of your journey. It’s no secret that air travel has become increasingly difficult. Security checks and restrictions, plus the challenges of low-cost airline rules have taken some of the joy out of the journey. As a result, train travel has become a favourite for us. During our recent visit to Germany we took an eight-hour train journey on three trains from the north-eastern city of Leipzig to the southern town of Constance. Rolling through beautiful countryside provided lovely views, and the fact we were with two friends made the journey race by as fast as DeutscheBahn’s Intercity-Express trains. We were struck by the efficiency of the network, the space to move, and relaxed atmosphere onboard – quite the contrast to many flights. Similarly, we rode the ski train from Paris to go skiing in Sauze D’Oulx, Italy, after booking tickets with Voyages-sncf. From city to slope in four hours. Eurostar too has transformed travel by train in Europe – connecting the UK to continental Europe in 30 minutes and central London to the heart of Paris in just over two hours. Travel by train in Europe is also cost-effective when stacked against flying. Prices are usually comparable, especially when factoring in travel to city centres from remote airports. Meanwhile train travel results in ten times fewer carbon emissions than flying the same distance. Secure the best fares by booking early. When booking French trains, look out for Prem fares. These low-cost fares are limited availability and go on sale 90 days in advance. The sooner you can book, the more chance you have of securing Prem fares. Build enough time into your connections. Voyages-sncf recommends an hour to change stations, and half an hour for platform changes. But allow an additional 30 minutes for Eurostar check-in. Train travel isn’t just for students. While InterRailing was traditionally regarded as the preserve of students, there are now passes for seniors too. To travel in style purchase an InterRail first class pass. Purchase an InterRail pass according to the number of times you plan to travel rather than the duration of your trip. The more services you use, the more cost-effective the pass becomes. One country passes start from £49 and global passes from £233. Passes don’t only provide rail savings, but discounts on hotels, museums and other forms of transport. Download the InterRail Rail Planner App to keep your journey on track – it even has live timetables without the need for 3G. Voyages-sncf, formerly known as Rail Europe, is Europe’s leading rail ticket agency. And to reveal just how easy travel by train in Europe is, Voyages-sncf has created this fun video. I particularly like the guy at 0.42 and 0.50 seconds. As for the tiger… I think I’ll take #TheEasyWay! You can also enter Voyages-sncf’s competition to win one of 12 pairs of train tickets from London to Avignon, Barcelona, Geneva or Milan. This guide is brought to you as part of a campaign created and managed by iambassador and Voyages-sncf. As always all opinions are my own. 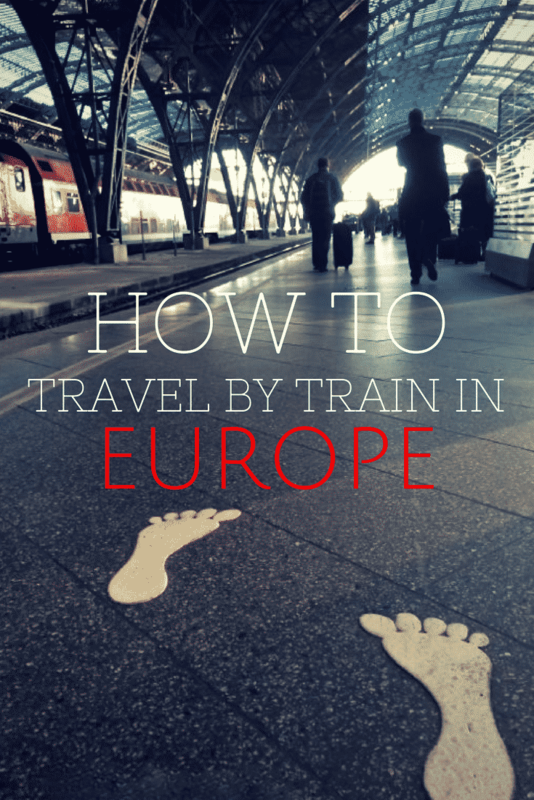 I’ve been looking into the railroads in Europe to save money on traveling, and I’m so glad I stumbled upon this blog post to learn more about it! Thank you for the great info and money saving tips. I’m convinced this will be a great way to not only save money, but see some of the countryside of Europe. Glad you found it useful Brooke. It is a great way to see the countryside for sure, and it’s really affordable too. Would recommend it. 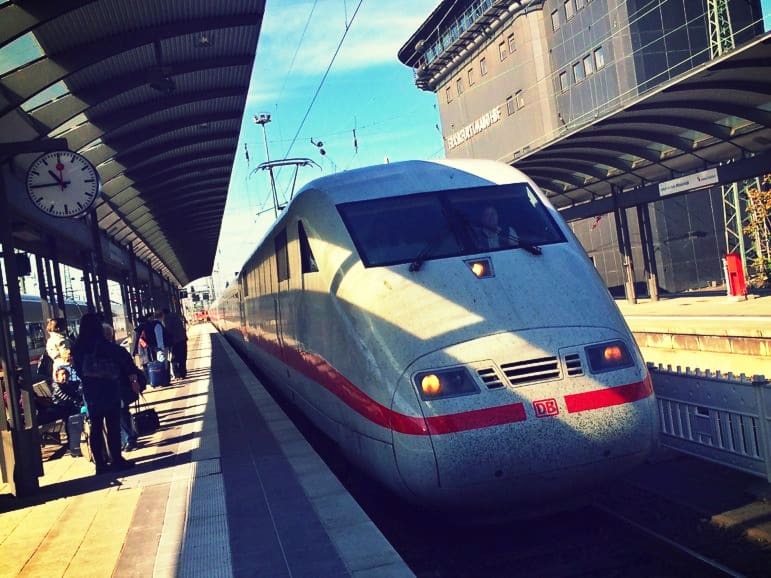 My family and I went on a vacation from Frankfurt to Amsterdam in late 2014 and traveled by train (ICE train I believe). The route had multiple stops in Germany and in the Netherlands. We traveled in first class, and this was our first time traveling by train as a family. We had our bags placed on the racks above our seats, including a backpack that contained phones, tablets, passports, and other important items. During one of the stops, a man came onto the train and stole that backpack. We didn’t even realize it until we one or two stops afterward. We filed a police report but never found the bag, and everything was a total pain to replace (especially the passports!!!). One of the train staff said that theft happens often on the trains. Traveling by train in Europe is fast, easy, and cheaper than airtravel, but you have to be very conscious of your belongings. I’d still recommend it over traveling by plane, though!!! Thanks for your comment Leigh – really useful advice. I’m so sorry you had such a bad experience! But yeah, there’s always people looking for easy pickings so it’s best to keep valuables within view. Glad to see it hasn’t completely put you off travelling by train though. We heard that it could be a problem and traveled with an inexpensive bike lock. When we couldn’t be right next to our two large bags we would lock them together to a rack and have a little piece of mind. Always keep your valuables next to you in the seat though. We saw lots of organized groups throughout train stations in Italy stealing bags. Even with all this, traveling by trains was one of the best parts! It’s relaxed and fun. On one trip a fellow passenger opened a bottle of wine and came around with plastic cups offering a glass to us! Great time! Love traveling in Europe by trains. I have been living in Paris for years and I used to take the TGV and SNCF for travels to Germany, Italy Spain etc and the Eurostar to England and each time I loved it. Instead of taking my car to drive I truly and fully enjoyed the great train system in Europe. Lovely guide! 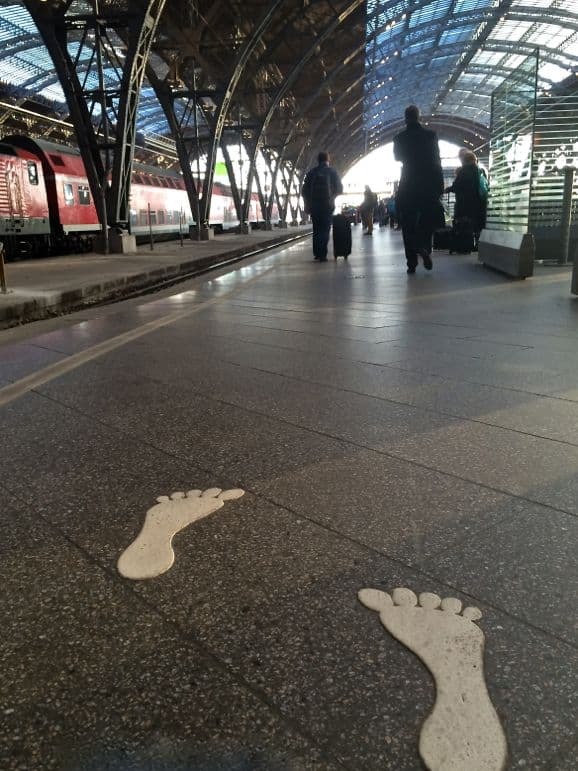 I have travelled through Europe and my next adventure is to try travelling it with train. Thank you for this post.